Donating toys to charity has never been easier thanks to the free toy donation pick up service offered by charities nationwide. Schedule a toy donation pick up today and donate toys to the local charity you choose. While the holiday season is a favorite time to donate toys to charity, toy donations are needed year-round. Budget-strapped families often don’t have enough money left at the end of the month for these extras that can brighten the day of a little one in need. Your new and gently used toy donations mean a less fortunate child has a warm teddy bear to snuggle up with at bedtime, a puzzle to enjoy on a rainy afternoon, a baseball bat to practice his swing into the setting sun. Donating toys to charity is a great idea any time of year. 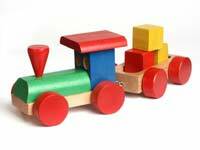 Donate used toys to charity by entering your zip code on the donation pick up scheduling webpage. Perhaps your children have outgrown some of their favorite toys. Maybe there are some toys that were never among their favorites and aren’t likely to be missed. Or, like some families, perhaps you and your kids have made it a birthday tradition to say farewell to a handful of yesterday’s toys to make room for the new ones — and it’s a good bet that your child might even enjoy helping to select the toys that will become treasures in a new home. 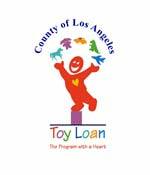 Log on to DonationTown.org to schedule a fast, FREE pickup of your gently used toy donations. Which charities can I support through my toy donation? DonationTown.org will help you locate a charity in your community that will accept your new and gently used toy donations. Many local charities have Toys for Tots programs and welcome your new and gently used toy donations year-round. Log on to DonationTown.org to connect to a charity near you — a charity like the Humane Societyl, Rescue Mission, Salvation Army, Good Samaritan Ministries, Habitat for Humanity, or Hope Services. You and your family can brighten the day of young people in need by donating gently used toys to charity. DonationTown.org can help you find a charity in your community with a toy donation program. What kinds of toys can I donate? Most charities welcome toy donations of all kinds. (Please do not, however, donate broken toys or toys with parts missing.) Donate sporting equipment and beach toys. Donate dolls, donate Barbies, donate stuffed animals in good condition. Donate action figures, donate dress-up costumes, donate puzzles. Donate toys for infants, donate toys for toddlers, or donate toys for older children. Donate skates and hula-hoops. Donate a skateboard. A charity near you needs your gently used toy donations to help bring joy to children in need. I want to donate used toys! What to do? If you have other items, in addition to used toys, that you would like to donate to charity, DonationTown.org will help you find a charity in your area that will accept your donations AND help you schedule a fast, free pick-up of your items. Log on to DonationTown.org to donate your gently used clothing, furniture and household items, electronics, sporting and exercise equipment, and books and magazines. How can I schedule a fast, FREE pickup of my toy donation? It only takes a few minutes of your time. DonationTown.org has made it easier than ever for you to connect to a nearby charity in order to donate used toys. Donating new and used toys is fast, free, and sure to bring big smiles to the faces of little ones in your community.